Looking for a vacation of relaxation or adventure…. 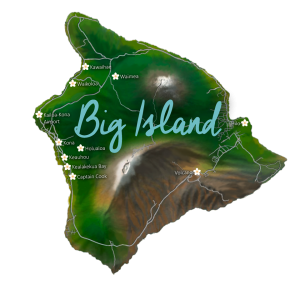 Allow us to assist you in finding your happiness in the beautiful and breathtaking Hawaiian Islands. Whether you’re traveling as an intimate couple, a family big or small, corporate retreat or a destination wedding; we will locate a vacation rental home or villa to fit your Hawaiian Vacation Dreams! Be inspired by a Hanalei Bay Sunset with the amazing mountains nestled as the backdrop. No matter how often we take this sight in, it’s aww inspiring each and every time. Hanalei Bay is the perfect place to relax and settle in to gaze at the sinking sun reflecting brilliant hues in the sparkling blue waters. Aww, simply beautiful! We stayed a week and it was wonderful. We loved falling asleep to the lapping waves and walking out the door to the sand. We went snorkeling right out from the house and loved taking walks on the lane. We enjoyed food close by and did a lot if adventurous activities all over the island. We highly recommend this property! My family and I stayed in this magnificent beachfront Aliomanu Bay house the end of June and we had one of the best vacations to date. The house is a perfect destination in and of itself, with sprawling views of the bay, the beach and the lush tropical flowers of Kauai, its no surprise when we had to leave for our second leg of vacation on Oahu, no one wanted to leave. We rented a car, and found the house to be the perfect location in between the the north shore/Princeville, with its magnificent beaches, and the shopping and nightlife that comes with being near Lihu'e (the airport) and Po'ipu. Although this house is located in a more secluded area, the drive alone every day to and from the house was magical, and let's not forget this place is directly on the beach! We have three teenage kids in our family, and this house allowed us to go and do, but also spend time and relax together as a family. After a small trip to Costco, we ate several homemade family dinners on the lanai (patio) enjoying the wonderful Hawaii trade winds and beautiful sunsets. After dinner, and early mornings, we played games on the lanai and just read and enjoyed the view. The kids snorkeled off the beach, boogie boarded, swam, played on the beach, rode bikes, ran and just all around enjoyed letting go of the hustle and bustle of life. If you, your family, or your friends are interested in an amazing beach front property, that comfortably sleeps 8, this house is for you. With all the amenities of home, with all the perks of a house ON THE BEACH, this house will not disappoint. The property and home is well maintained and we found the owners/rental associates to be more than easy to work with. They even had a fruit tray to welcome our stay. This place books fast, so if you are interested in a perfect Hawaiian getaway, this beach front Aliomanu Bay cottage is the perfect place to stay. We loved it and I am sure you will too! Mahalo and enjoy! What a Great way to spend a birthday...or two!! We made a last minute booking on this cottage and everything went smoothly. 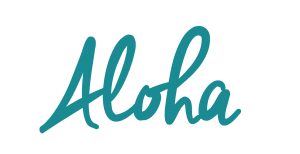 Brian VanBuskirk of Aloha Vacation Rentals was friendly, informative and eager to help us with our accommodations. We didn't bring our kids this trip, but absolutely could have. The cottage's main floor is upstairs with a kitchen, living room, bath and master. A lani runs the whole length of this level with breath taking views! The lower level, which we didn't use, has two bedrooms and a bath and a kitchenette. It's a cottage, so some areas are a bit cramped and the some furniture wasn't quite as nice as it appears in the pictures, however you cannot beat the peaceful surroundings, the beach just steps away, the lull of the ocean waves and the location. Paradise! 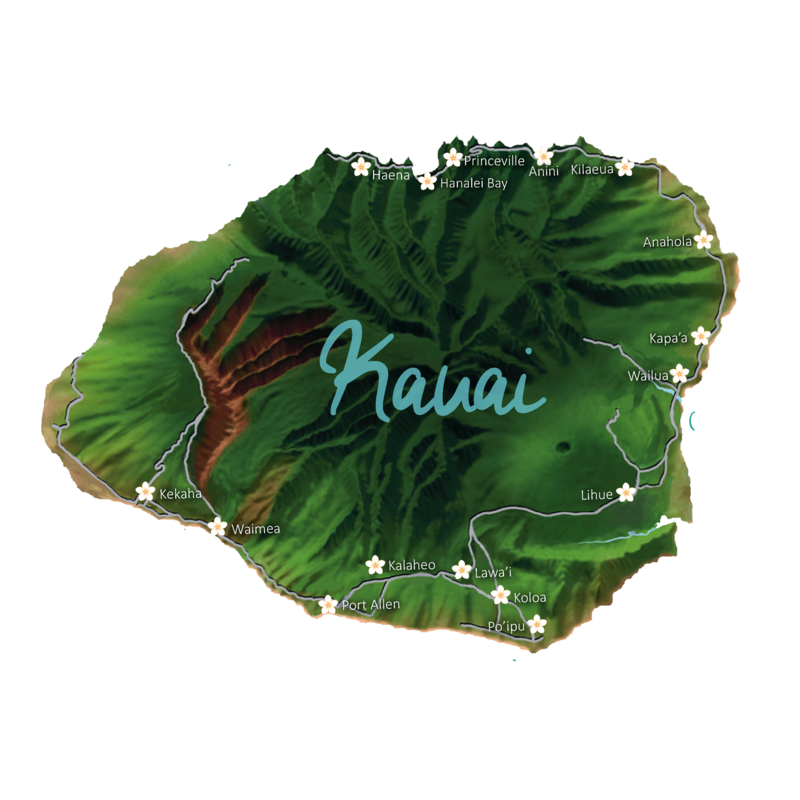 I have been going to Kauai for many years now and have rented all types of places. Our stay here in this Beachfront Home surely was our Home for two weeks. It was just what we expected from the many pictures that were posted. Renting this property was easy and I received a lot of information about the area and the many Beautiful places to see. The Trade Winds that blow through the house and the sound of the Ocean is enought to make you want to stay Forever. The early morning Sunrises are Beautiful while sitting on your own Private Beach. And at night if your lucky to have a Full Moon, its so Romantic as it sparkles across the Bay to where your standing. I loved this Property it's more like Home than a Rental. I would definitely recommend this Home. I love this side of the Island Kappa, Princeville, Hanalei are all some of the best places visit. I'm planning my return next year and I definitely will return to this Awesome Beach Hideaway, in Aliomanu Bay, a Home away from Home. What a spot and we were so thankful. Just a nice vacation with the fam. I really thought the Jacuzzi was great. The beach was so close it was like it was in the house. I was able to enjoy walking up and down the beach real early in the morning, everything was just so peaceful. The park was nice too. I can't wait to come back. We really enjoyed our week at the property...it was a very relaxing location. The cottage was clean and fairly well stocked. We were ecstatic to have the use of the boogie boards and beach umbrella--so handy! Our only criticism would be that the cottage could use some updating. The location, though, couldn't be beat. My family stayed at your cottage in August and we had a very enjoyable time. The cottage was very comfortable and allowed us to relax and enjoy a true Hawaiian experience. The rooster was our only visitor. We enjoyed the grounds around the house and the very short walk to a picture perfect beach. The location could not have been better -- within walking distance of several beaches and within a short drive to Hanalei. We would highly recommend this cottage to others. There are lots of things to do in Kauai -- skip the other islands -- this one beats them all. I loved my stay at the cottage. The best thing about it is that it is in a beautiful, peaceful location, steps from the beach, and close to good hikes and town (you do need a car though). There was great snorkeling a few minute's walk away at Tunnels Beach. The water around there is dangerous certain times of the year, but people interested in this area probably know that. The cottage itself is simple, but well-kept and spacious. It was equipped with everything we needed, and the rental office was quick to reply when we needed anything (eg, a new remote for the tv). The property is large and quiet, with lots of lawn (along with Palms and flowers), which was great for my 11 month old daughter to explore and learn to walk on. There was also a cow that visited from time to time -and a couple of roosters of course. We liked that stuff. During our stay I thought that the property would be a great place for a wedding party to stay, if the group rented the beach house and the cottage together. And last but not least, I will always have a soft spot for the cottage because I am pregnant with our second child, conceived during our vacation in Kauai :). I think it was just so healthy and relaxing there that it made it easy to get pregnant...so there's that! We had an excellent stay at Haena cottage in October - there are many good restaurants nearby and shops if you prefer to cook yourself which we did - and the kitchen is well equipped to handle anything you would like to concoct. The beach is magnifiecnt- we walked it every day and it was rarely congested with other beach walkers. We were able to see monk seals and green turtles which swam with us right out in front of the cottage. We spent many happy hours parked in beach chairs reading and occasionally being chased away by large rollers. 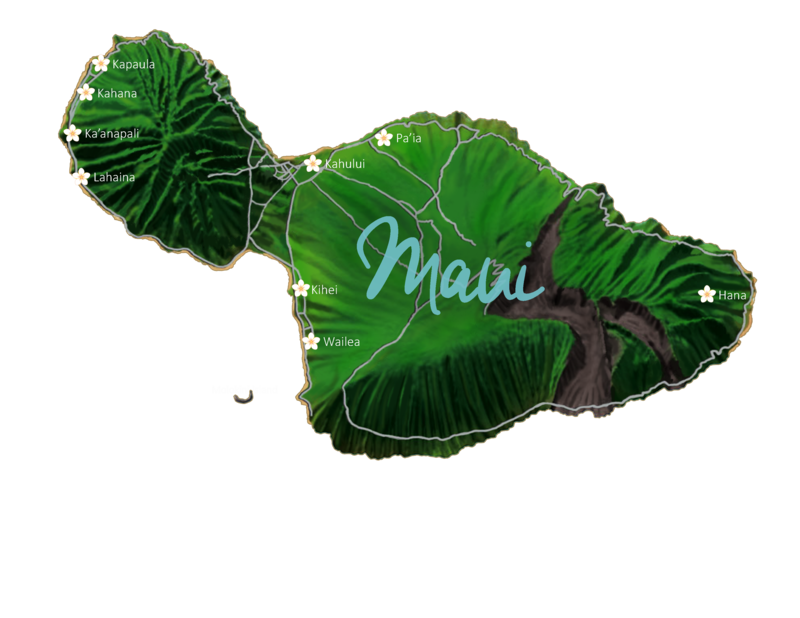 This location is wonderful for hiking the Napali coast and generally getting away from the hubbub of the southern coast. We would go back. We rented the main house as well as the cottage...both were just perfect! Many thanks for a wonderful Christmas....Mahalo! This house is more beautiful than the pictures suggest. The entire main floor has epic views. The swells were huge when we first arrived, and it was as if the ocean was putting on a show for us, an amazing sight to see! As the week went on we saw whales and even a sea turtle frolicking in the surf from the deck. The property is lovely and we had a wonderful new years vacation at this spot with our family of 12 renting both the front and the back house. The house is clean and comfortable, and held us all very well. The ocean was definitely not safe for swimming when we first arrived, but that is the risk you take going in winter. We were thrilled when it calmed down later in the week and we could walk to Tunnels and swim and snorkel. Haena is a very special spot, and we were very pleased, although it does mean you do a lot of driving if you want to do much sightseeing around the island. (10 to 15 min. just to get back to Hanalei) but if you want to stay put, it is perfect. Not perfect for small kids due to the dangerous surf in winter, but our older kids loved it. Thanks for a great vacation. We rented the main house right on the beach and are still basking in the memory of our wonderful Hawaiian vacation. It was so marvelous waking up to that view, enjoying our morning coffee out on the porch, watching the beach and the water fill with that beautiful light. And the best was walking just around the corner to enjoy snorkeling and swimming with the turtles at Tunnels Beach (and for the sunsets too)! The house matches the photos exactly. The only thing that doesn't match is the size bed in the master bedroom is actually Queen, not King. The kitchen is well equipped so we could make all of our favorites and some new dishes as well. Brian and the staff were quick to respond to our questions, very helpful, and extremely nice. It was the perfect house for us. We'll be back! Loved this house and location! This house was awesome and location could not have been better! First day snorkeling we saw turtles…and the monk seals swam to beach area right in front of us!!! The bike path was close and easy to access. We rode bikes into town for breakfast and exploration. The neighbors were welcoming and friendly. Definitely would recommend to this house and location. The pictures does not do the place justice. The house was clean,modern,spacious and it was well maintained. The owner was nice too. Thank you for opening up your home to us. You made our vacation memorable. We stayed at this beautiful spot March of 2014. Staying at this home, we easily slipped into the slower island rhythm of the North Shore. it is quite a drive to Honolulu but we didn't mind that at all. The surfing town of Haleiwa was perfect for our getaway. Honestly, we had such fun snorkeling and kayaking out our back door that we didn't want to go anywhere else. Loved it! Will definitely be back! This is a wonderful home on the most beautiful beach on Oahu. It is large, spacious and well taken care of with great owners and great property management. We stayed at this property in mid December with 4 adults and 4 kids under 12. For our group, the location could not be beat, with the beach a few footsteps off the back deck. This is what attracted us to the property and we were not disappointed. It is a beautiful beach that is great for little ones who do not want heavy surf. It was a huge plus for all to see the abundant amount of turtles, both in the water and on the beach. The house was well stocked with toys for outdoor fun such as a 2 person kayak, boogie boards and life jackets. The house was the perfect size for our group, with 2 bedrooms upstairs and 2 downstairs. We spent a good deal of time in the kitchen and found it to be very well stocked and easy to work in. Having a laundry room at our disposal ended up getting used frequently. It was nice to use the outdoor BBQ, all the while enjoying the beautiful weather that the evenings have to offer. The location of the property is perfect if you want peace and solitude. It is in a quiet neighborhood and the entire property is fenced, even with an automatic gate on the driveway. 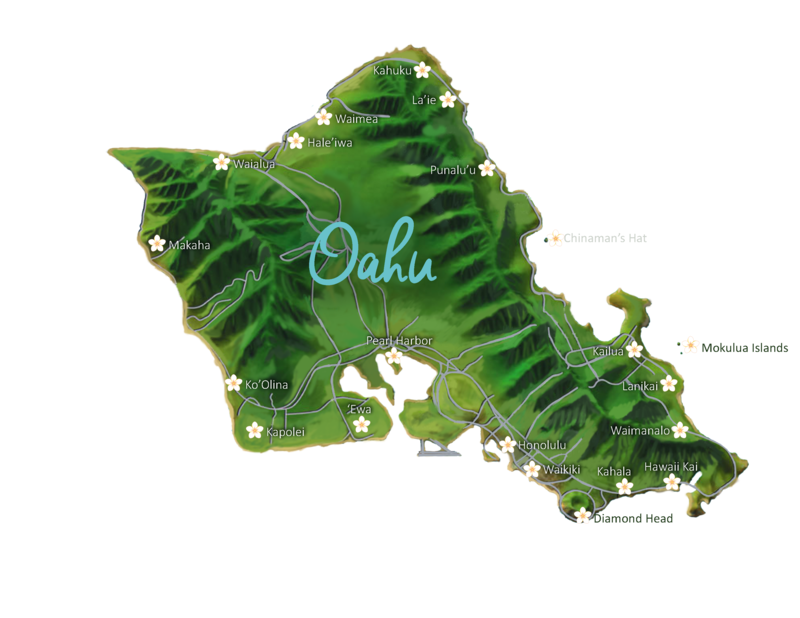 It is an easy drive to Haleiwa where one can enjoy the shrimp trucks, shops or get groceries. Would we recommend this property? Yes, the location and beach exceeded our expectations. So if you are seeking a great vacation, with no crowds and a beautiful beach that is virtually deserted, this is the spot. If you are looking for a vacation home and this is within your budget, just stop looking right now and rent this place. If you are anything like me and think you might spend countless hours online looking for that perfect place (and I did), let me save you the time and tell you to rent this house. It is simply AMAZING! If you think the pictures look beautiful, you will be in awe once you step on the property. The house layout is such that we can all be together in the living area cooking and enjoying a meal, or we can all split up and enjoy our own corners inside and out if we choose. Always within view and sound of the surf just outside. The furnishings are very comfortable and modern. The bedrooms were perfect for our large family. This is a very secluded and private area, away from the mainstream of tourists. On weekends the local residents enjoy the beach, but don’t be surprised if you don’t see a sole for hours during the week. There is unbelievable snorkeling right off the back yard. From sea turtles to humuhumunukunukuapua’as and everything in between, who needs to go to Hanauma bay? The bike path is right across the street for a nice cruise into Haleiwa. Any time we went to tour the island, our family couldn’t wait to come back here and enjoy the property. And lastly I can’t forget to compliment Brian at Aloha Beach Vacations. He was excellent to work with, very responsive and attentive to our requests. We plan to be back just as soon as we can! The house was more than we could have hoped for. Beautiful, well stocked, clean, comfortable beds, air conditioned upstairs bedrooms, gorgeous yard, sweeping views of the ocean, and quiet. For us the best part really was that fact that the homeowners used Aloha Beach Vacations to handle the contract, collect rent and the deposit. We ended up renting this wonderful home after two other privately rented homes fell through even though we had signed contracts. It was such a frustrating processes that when we found out this home was represented by a real estate firm, we were much more confident that our contract would be honored and our deposit would be secured. The communications were prompt, the deposit returned as stated in contract and the home was just as it was represented. If we have the means to be back, we will definitely use this home again! BRILLIANT vacation home. Plenty of room and flexible sleeping arrangements. Fully equipped for self-catering. AMAZING backyard and proximity to a great beach (with turtles!) Perfect for families. Service was excellent. North shore is the best place to visit in Hawaii. Could not recommend this property more highly. Location, Location and great space. Only issue---upstairs bath high quality, little cumbersome due to jet tub and showering. Accurate description and photos--no highlighting what you see you get. Clean, thoughtful, comfortable and perfect for family, 3 couples. A great location, close to the beach with a fantastic lanai to enjoy early morning coffees with the little ones, and late night cocktails with the adults! Also close to town to pick up groceries and beer. The layout of the house allowed for privacy between two families with small children - one family up, the other down. Be prepared to buy the basic necessities, from dish soap, detergent, salt and pepper, cooking oil, etc. if you're planning on cooking and/or with small kids. All in all though would definitely recommend! I spent a week at this property in Sept 2013. The house is so wonderful. Haena is 6 one-lane bridges and 6 miles outside Hanalei. We loved staying out of the fray, although it does take a long time to travel to the other side of the island. The house is clean, comfortable, and fully equipped with more than anyone could ask for. The property is private, scenic, and I slept 11 hours the first night while all my stress melted away! We spent most of our time on the North side, but made two trips to the South side for sightseeing. Hanalei is a wonderful town, and the house is so close to Tunnels and Ke'e beaches which were the best. Highly recommended. We had a group of 14 stay at this house for one week in January 2012. What an amazing time we had in the perfect location. Walking in the door to this house feels like Christmas morning when you're 6 years old. The place is gorgeous. The living rooms are sun-soaked, inviting and picture-perfect. Two full kitchens and living rooms, two wrap-around balconies, a front yard, a back yard, a giant gas grill, and two washers and dryers. The kitchens are stocked with cooking equipment. There is an assortment of spices in the cabinets. There's shampoo and conditioner in the showers. There's plenty of parking, TVs in every room, and a great blender for making endless pina coladas. We enjoyed basking in the sun on the lanais, falling asleep and waking up to the sound of the ocean outside our windows, and a fun night of hide and go seek in the dark (endless possibilities in a big house)! The house is just steps from the beach. Each bedroom (except for the one on the mountain side of the house) has an unobstructed view of the ocean, the sunset, and the forbidden island of Ni'ihau. It is on the outskirts of the quiet town of Kekaha. Just down the street is the road up to Waimea Canyon where there are tons of hikes and spectacular view points. A couple minutes drive east is Waimea which has restaurants, grocery stores, and shops. One night we went to the restaurant at the Waimea Plantation Cottages on karaoke night. About 10-15 minutes to the west is Polihale State Park which is an amazing 17-mile stretch of white sand beach. You can get to the first parking area with any rental car, but it's worth a jeep rental to get all the way to the end of the sandy road to the less populated part of the beach. Last, but not least, Brian and Milli are fantastic. Brian set up the rental for our group and he was literally at my beck and call if I had a question about anything at all. I have stayed in a lot of rentals through VRBO and Brian is by far the most responsive, informative, and charming person I have worked with. He knows a lot about the area and will get you really exciting about your upcoming vacation. He hooked us up with discounted rental cars and tours. Milli greeted us in Kauai and made sure that our stay was comfortable. If you want a gorgeous place to stay away from the timeshares and crowded beaches, this is your place!